I have so much to be grateful for – the people God has brought into my life, the family that I was born into and the many blessings He has poured out on me. And I’m truly thankful for all God’s work in my life. But over the last few years, I’ve become increasingly aware that there is a vast difference between being thankful for the things God has given me and living a life of gratitude. Let me explain. . . When we give a gift to someone, the most rewarding and pleasing thing for us as the gift givers is to see them enjoying and using the gift we have given them. And on the other hand the hardest thing is to hear, “Thank you so much for this gift! I love it.” And then to see our present thrown in the trash unused and unappreciated. Why? Because we sacrificed part of ourselves in the giving of the gift and it was tossed away like a piece of garbage. When we harbor bitterness in our heart, allow anger to control us, refuse to forgive, when we turn away from God, when our thoughts are focused on our self, we are not living in gratitude of the costly sacrifice Christ paid for us. It’s as if we’ve thrown His gift into the trash and now live as if it is an insignificant factor in our life. 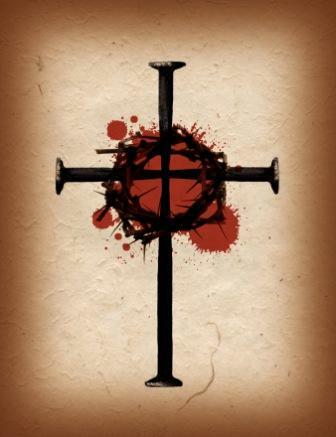 We diminish the price God paid for our sins. So how do I live a life of true gratitude when I’m not perfect? For me it has begun with allowing God to show me the depths of my depravity. Seeing my sin the way God sees it and stepping into the sorrow and heartache this sin has wrought in my life and in the lives of others. By doing this it has brought about a hatred for the sin and a passion to live in obedience to God and His Word. God has also showed me that I cannot do this in my own strength; I have to live in dependence upon Him – seeking His way, His desires and His kingdom. As I’ve come to see myself for who I really am, it has allowed me to see God for who He truly is and has brought a deeper meaning to His incredible sacrifice that He paid for me. So let me ask you the same questions I ask myself on a continual basis: Are you living a life of gratitude to your Savior, who died to set you free? Are you diminishing the price He paid for you by the choices you are making? May the cross and all that it represents COMPEL us to live a life of true gratitude.